I am a creature of habit. For over 10 years, I chose to live in the same apartment, drove the same car, always stepped out of my home left foot first and the list is endless. I never did routine things that many of us don’t think twice about. Here is an example: I never cleaned my car the day before meeting a customer face to face! Don’t ask me why. You may call it superstition, but I call it my inherent resistance to taking risks in life. I like predictability and have ended up doing a lot of things in the hope of making my life a little more predictable. In the last 10 years, I have also changed my jobs a few time in the hope of finding that perfect role that will align completely to my skills and values. I did meet remarkable people at work that inspired me, molded my thinking, and opened my eyes to new challenges and my limitations. But something was just not right. I was pretty sure that I was missing something in my quest to find professional nirvana. No, I am not talking about money. Money never really was a factor in any of my career related decisions so far. After some serious head scratching, I found the answer I was looking for. Here is how I found out. I have yet another strange morning ritual. Every morning, I heat a cup of milk for exactly 1 minute and 16 seconds on my microwave before adding instant coffee powder and sugar. I imagined my coffee tasted best if I follow this recipe. Then one day the unthinkable happened. My microwave oven stopped working. Cursing my fate, I heated the milk on the stove and gingerly tasted my coffee. Lo behold, this was the best coffee I ever tasted. And the dominoes fell one after the other. I deliberately started disrupting my routines and rituals and did not end up upsetting the balance of the universe after all. I started wearing blue shirts to work after years of consigning them to the dark confines of my wardrobe. Nothing changed and nobody cared. Whatever was meant to happen did happen irrespective of what I did. This was a truly liberating experience and made me realise that I should start taking risks and take the road less travelled. In fact, the rewards of embracing this rather clichéd thought is truly astounding. I sold my car, moved out of my apartment, walked out of my house, right foot first, and really had fun doing all of this! Along with these changes, I decided to wind down my career in the US and go back to India, a place that I consider as the wild, wild east. The sheer joy of becoming a pioneer in my own small world suddenly gave me the elusive fulfilment that I always missed! The apprehension and the nervousness of starting my career afresh in India is accompanied by a sense of adventure and excitement. Thank you for reading this blog. This blog will either take a completely new turn in terms of the topic or I may shut this down for good. After all, there is fun in not adding a new blog post at 10 am every Monday morning! Srinivas Krishnaswamy, Founder, Jodi Logik. To learn about Jodi Logik, click here. One of the technologies I am keeping a close eye on is Microsoft HoloLens. After the spectacular failure of Virtual Worlds (remember the Second Life hype in around 2005?) and the premature demise of Google Glass (at the first version), we have yet another contender for taking enterprise learning, collaboration and performance support to the next level. Microsoft HoloLens is a wearable computing device that lets you interact with holograms superimposed on real objects around you. John Bohmer, has given a detailed explanation on how HoloLens is different from Rift and Google Glass in this Quora post. In short, Microsoft has created is a sophisticated Augmented Reality wearable device that is significantly better than Google Glass in projecting sophisticated augmented graphics / images on real word objects, with an ability to interact with the augmented content. Microsoft has already released a few case studies on how enterprises and universities are piloting the use of Microsoft HoloLens. What really piqued my attention was the demonstration of how HoloLens is used by CWRU and Cleveland Clinic are leveraging Microsoft HoloLens to deliver breakthrough training solutions for budding Doctors. Check out this video. LinkedIn had conducted a survey early this year among 15000 professionals among 19 countries. Key results from the survey, called the New Norms @Work study are captured in these graphics. Interesting findings indeed. One thing that is very clear is that we are becoming more narcissists! The fact that today’s employees tend to change their Linkedin profile picture more often than ever before is another example of the “selfie culture” permeating to all aspects of our social media activities. I am reproducing an extract from a post from PSFK on the implications of connected living for enterprises across different industries. Truly thought provoking and a remarkable read. Great way to get inspired on a Monday! First of all, let me make a “visual” point about how we have transformed into a “always connected” society. 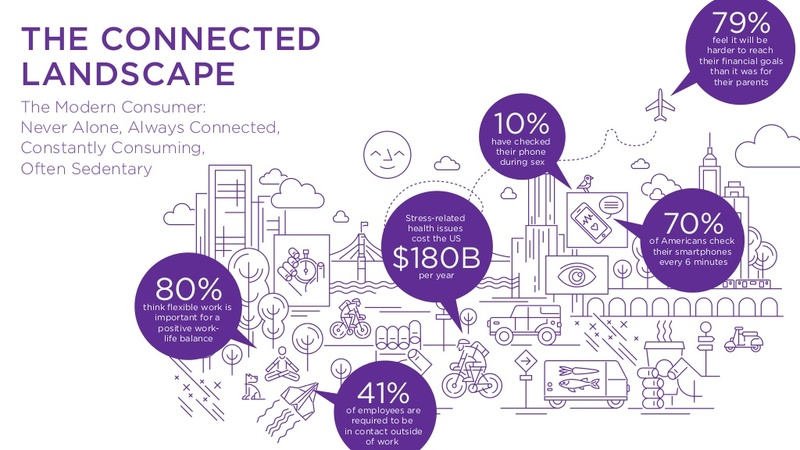 Using the insights outlined in the Future of Connected Life report, PSFK delved into how industries from fashion to travel can help their customers and partners adapt to a more connected world. Automotive: Today’s vehicles are equipped with technologies and tools to keep drivers safer on the road and get them to their destinations in a more timely and enjoyable manner. The ability to sync driver profiles to devices like a phone or key fob and track driver behavior can provide behavioral nudges to improve habits over time like de-stressing or driving more fuel-efficiently. It also creates the opportunity to incorporate contextual information like traffic, weather, and location to maximize in-car efficiency, prevent distracted driving, and help users become safer drivers. Finance: While most people understand the importance of having their financial affairs in order, preparing for the future can still feel like an insurmountable and complicated task. 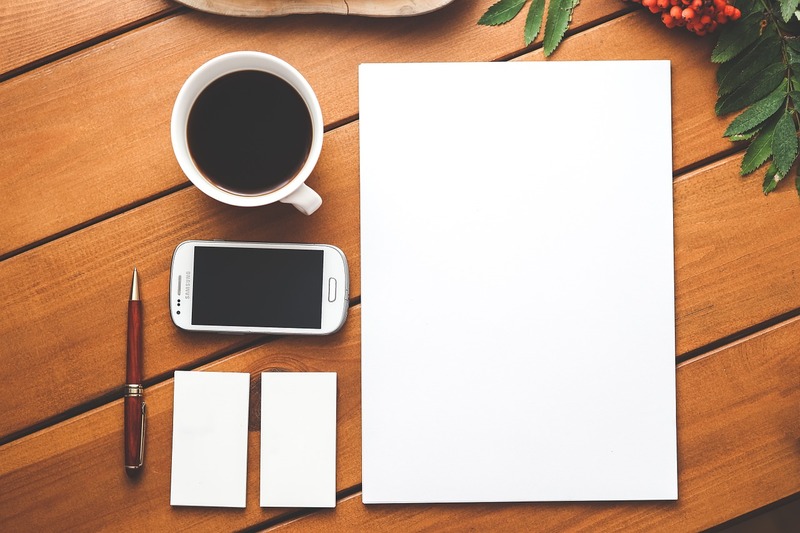 Bite-sized educational courses on popular topics for consumers to access at home or on the go with provide a deeper understanding of the the institution’s product portfolio while helping consumers be more confident in making more informed decisions. Similarly, breaking down big picture planning into smaller daily goals and providing easy access to professionals during difficult moments can deepen their relationship with an institution. Education: Democratized access to knowledge has given curious individuals the ability to continue their education outside formal institutions. Providing materials is the first step, but ensuring individuals stay motivated and engaged is another challenge. Parceling curricula into smaller modules not only enables students to learn at their own pace, but also tracks their progress, allowing the creation of individualized education plans and friendly competition amongst their peers. Health & Wellness: Given a largely sedentary work culture, many people must go out of their way to maintain a healthy lifestyle. Though there are a myriad of services that track activity, few take the next step to providing its users with an understanding of what the data means for their health. Personalized tips guide individuals through their data and point them toward actionable steps to improve their health day by day. Inciting friendly competition to motivate people to stay on track and reach personal or group goals. Retail: With the maturation of online retail, brands can focus on how to integrate their online and offline experiences. These initiatives are combining the convenience of online shopping with the instant gratification of physical retail. Processing contextually relevant information garnered from customers’ ecosystems of connected devices will provide increased utility and anticipates product needs. 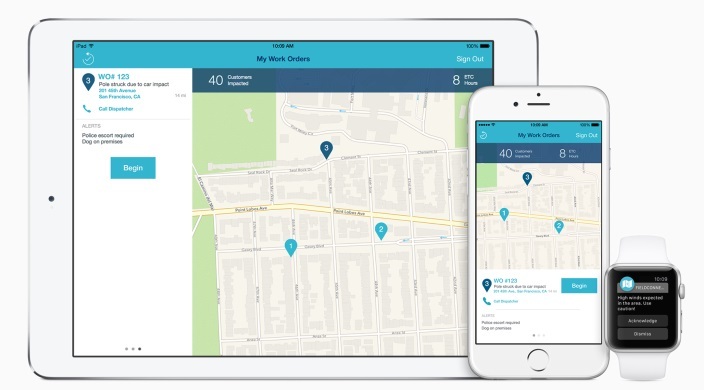 Connecting inventory information from offline properties online, and providing delivery services, will make it possible to merge the convenience of shopping at home with the ability to instantly acquire items. Travel: Technology is making the world feel smaller. As businesses become more global and travel becomes more accessible, tomorrow’s citizens will become citizens of the world. Brands should consider building local connections at destinations to help users gather insider information and feed into the economy of micro-entrepreneurs. Spontaneous meetups with like-minded individuals will engender travelers to forge new relationships and get the most out of their travel experience. Why Corporate Culture Should be a Key Part of your Talent Management Strategy? When we think of corporate culture you will probably think this is something that gets prime place in the company’s website along with the company’s vision, mission, values etc, all tucked away somewhere in the “About Us” section. If scratching your head is the response to the question – “What is your company’s culture?”, you should read further. Talent management strategy will be incomplete if you don’t have a corporate culture that is performance oriented and promotes employee engagement. Here is an extract from a book titled “Corporate Culture and Performance“. The book has the results of a survey done among companies to find a correlation between corporate culture and performance. Companies like Zappos and Southwest Airlines have done extremely well based on a strong, customer oriented culture. They have always delivered the best customer service, and the culture of going out-of-the-way to help customers has given them a consistent performance boost. 1. Start with an inspirational, aspirational and authentic purpose. 2. Identify a common set of values and how you will define and measure it. 3. Leaders should embrace the culture in their behavior and activities and lead by example. 4. Identify and reward frontline employees that strongly believe in the company’s culture. 5. Seek, speak, and act with truth. 6. Hire for attitude and not just for skill. If all of these recommendations sound esoteric, we now have software applications that will allow you to measure, manage, and promote your corporate culture. Check out products from Blackbookhr and CultureIQ. 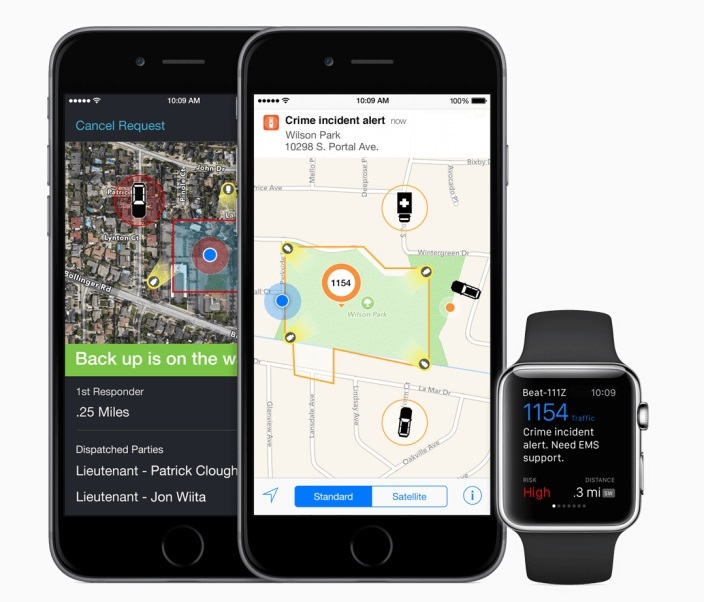 Here are 8 enterprise applications for Apple Watch. I am giving you 8 excuses to expense your company for purchasing an Apple Watch! Now you can see how miserable your sales pipeline looks like without touching your phone ever and by just glancing at your Apple Watch. Yup! 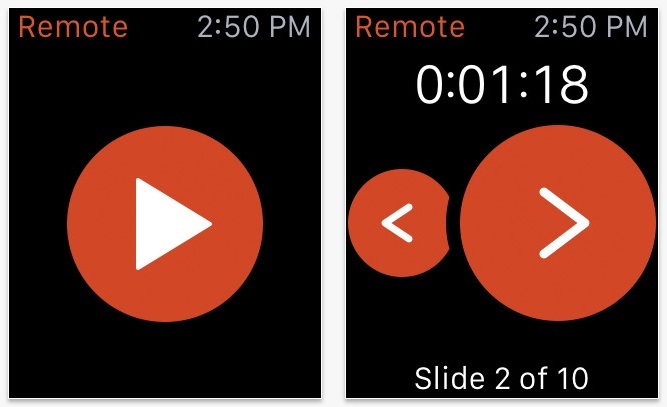 you can control your slides straight from your Apple Watch. If you a Slacker at work, don’t worry! 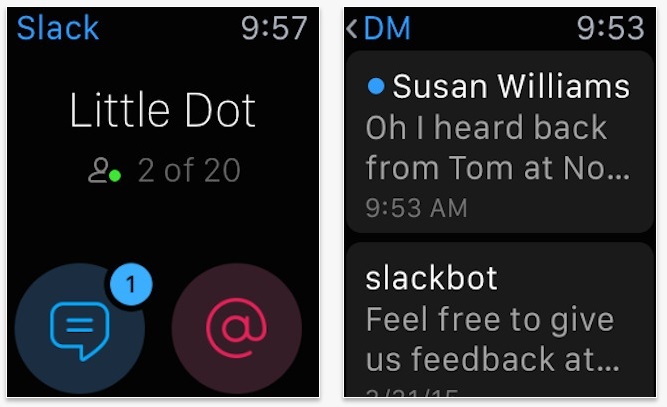 Slack brings you all key notifications to your Apple Watch. 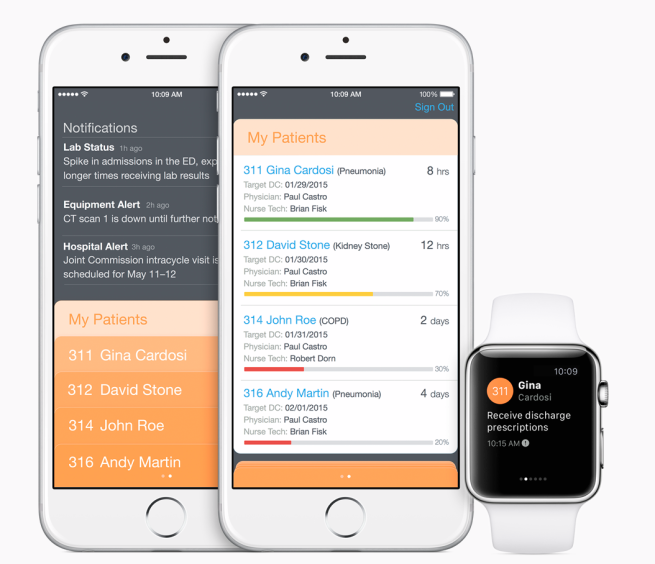 IBM’s love affair with iOS continues with this app targeting hospitals. This Apple Watch app lets field employees get important notifications. This app is meant for law enforcement and other government employees. Trello is by far my favorite unofficial project collaboration application and they now have an Apple Watch app. 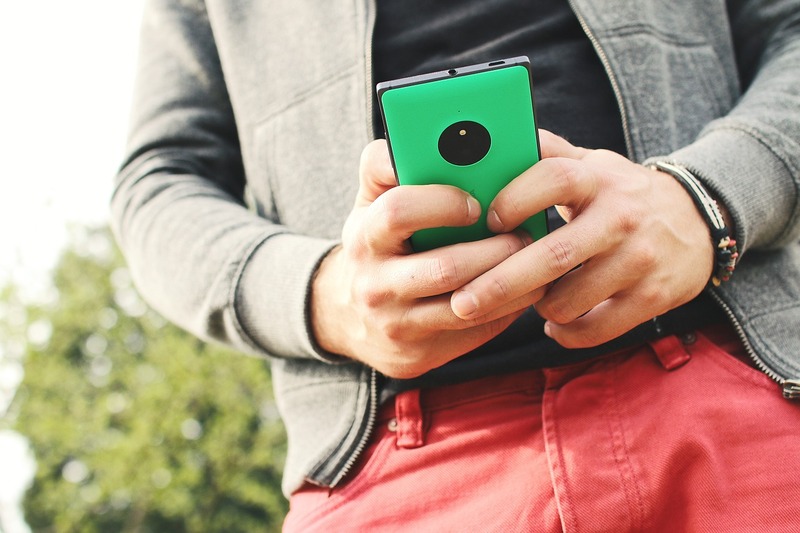 Usher is a mobile identity management platform for securing the enterprise. 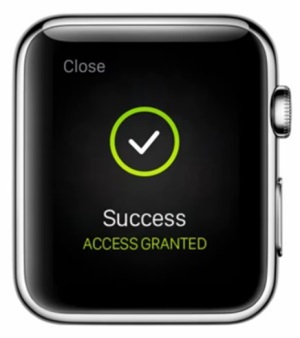 Your Apple Watch can now act as a badge to let you in secure work locations. PS: Have a wonderful Memorial Day! Here is a great infographics on the growing usage of wearable devices in the healthcare industry. The healthcare industry is seeing a spate of new entrants and most of these new entrants are traditionally not considered to be a part of the healthcare business! Probably Apple Watch (in maybe its third iteration) could potentially be a big player in the healthcare industry, dislodging the likes of Fitbit, and other specialized wearable devices.